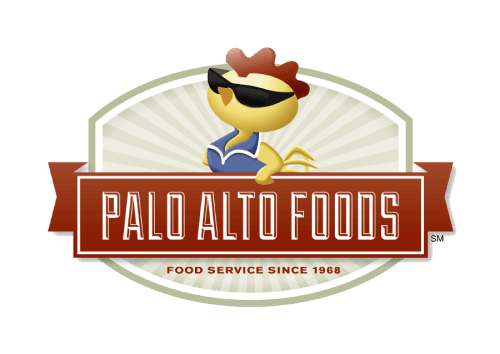 Local & Trusted Snack Brands - Palo Alto Foods Inc.
Just a taste of some of the snack brands we proudly supply our valued customers! We add more variety to our offering weekly! Calbee (Harvest Snaps) – Calbee North America, thinks great taste should never be compromised. Their mission is as simple as their products: delicious, natural and good for you. Their passion is to offer you something wholesome and tasty, so you can enjoy snacking the way it should it be. Because a snack is more than just a bag with a name , it’s a chance to have something that not only tastes good but is good for you! They want you to think you’re snacking the right way, the Harvest Snaps way. Clif Bars – Clif Bar and Co. began on a bike ride. Gary Erickson took a bite of another bar and thought to himself: “I could make a better bar than this.” From that point he’s and his team have been working continuously to bring better bars to their customers! The name “Dirty” comes from the process used to prepare the chips. The potato slices are not washed, leaving more of the potato flavor….and they are crafted one batch at a time– it’s a difference our customers say they can taste in every bite. When it has to be the best, it has to be “Dirty” Potato Chips. Food Should Taste Good – With a name that speaks for itself, Food Should Taste Good® chips are made from high quality ingredients. All chip varieties are gluten free, cholesterol free, have zero grams trans fats. They are also certified Kosher. Plus, many varieties are certified vegan. Kettle Chips – It all began with a vision and a van – a vision to fuse the natural with the savory, to create a great tasting, wholesome product everyone would fall in love with. And, a beat-up van that would become the very first Kettle Foods delivery truck. Over the years, they have carefully added new flavors, and even expanded the line to include the Krinkle Cut™ variety, Kettle Brand® Tortilla Chips and Kettle Brand® Baked Potato Chips, creating entire new categories for fans to love. Kind Bars – There’s healthy. There’s tasty. Then there’s healthy and tasty. At KIND, they believe you deserve both—they call it their brAND philosophy. That’s why you’ll find all of their snacks are pretty much the nirvana of healthful tastiness. What began with just 8 bar varieties in 2004 has grown to over 22 bars and 6 Healthy Grains snackable clusters, and a multitude of new recipes being perfected and refined to our standards in the KIND kitchen. So whether your snacking style is choosy or adventurous (or a little bit of both), here’s something to celebrate: Kind will always be thinking up new ways to delight your taste buds and keep your body happy. NuGo – To help people make better snack choices without compromising on flavor, NuGo never uses hydrogenated oils or trans fats in their products and they never use waxy vegetable fat compounds in place of real, delicious chocolate. NuGo Nutrition uses only top quality ingredients like real milk chocolate and antioxidant-rich real dark chocolate to make NuGo bars the best tasting, healthiest options available. Popchips – Even for a self-proclaimed snack fanatic, it can be downright embarrassing to eat a bag of fried chips out in public. That’s what popchips co-founder, Keith Belling, realized one day as he was trying to sneak his snack at a San Francisco deli counter. It was not clear whether he was hiding them from himself or friends. but he knew those bland baked chips weren’t the answer either. Keith, a serial entrepreneur, knew what he had to do. He had to find a chip that was both tasty and healthier (and less embarrassing). He had to put the fun back in snacking. But how? Keith and his partner Pat spent over a year, snacking, popping, and snacking some more, until they came up with popchips, a naturally delicious line of popped chips they loved to eat and did not have to hide. Now they are doing their best to share the bag with snackers everywhere. Sahale Snacks – It all started with a climb up Mount Rainier in Washington State in August 2003. Founders, Josh and Edmond had some beautiful views but nothing delicious to eat. With backgrounds in media and technology, the founders had no formal experience in the food industry, but shared a love for good food. Josh and Edmond went back to our kitchens the very next day and created unique combinations of premium nuts, dried fruits, and exotic spices, each reflecting a beautiful location, culture or culinary tradition somewhere in the world. Sahale Snacks uses whole ingredients in their natural form — such as cashews, almonds, pecans, and pistachios — and combine them with naturally dried and preservative-free (unsulphured) fruits, then add fabulous ingredients like organic honey, lemongrass, balsamic vinegar, or pure ground Madagascar vanilla beans. They are delicious snacks that go beyond ordinary! Sea’s Gift – “Sea’s Gift” is a brand name of the authentic Korean seaweed snacks by Jayone Foods, Inc. Sea’s Gift seaweed products are perfect healthy snacks for kids, students, and adults of all ages. It is a good source of iodine, minerals as well as vitamins. Great taste and fun to eat! Once you start it, you will love it! Sea’s Gift snacks are versatile and can be used for a variety of dishes. Sea’s Gift snacks are all natural, no MSG, no preservatives, no artificial flavors. They are both vegan & gluten free.